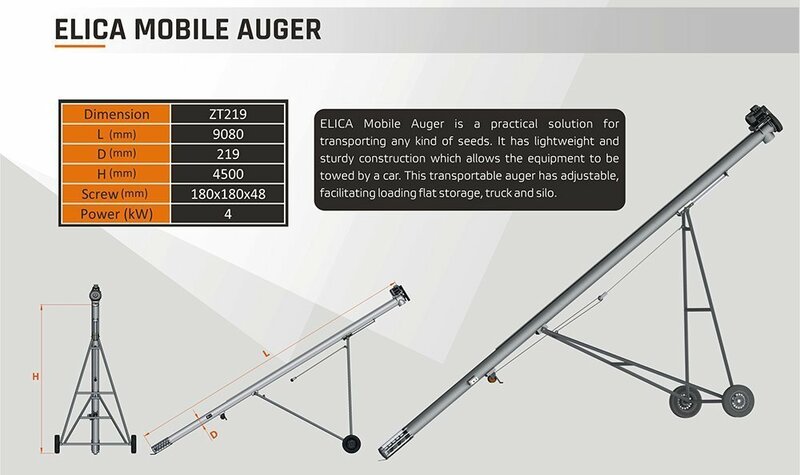 ELICA Mobile Auger is a practical solution for transporting any kind of seeds. 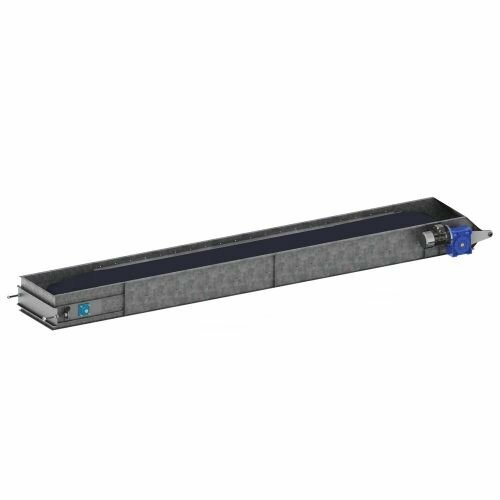 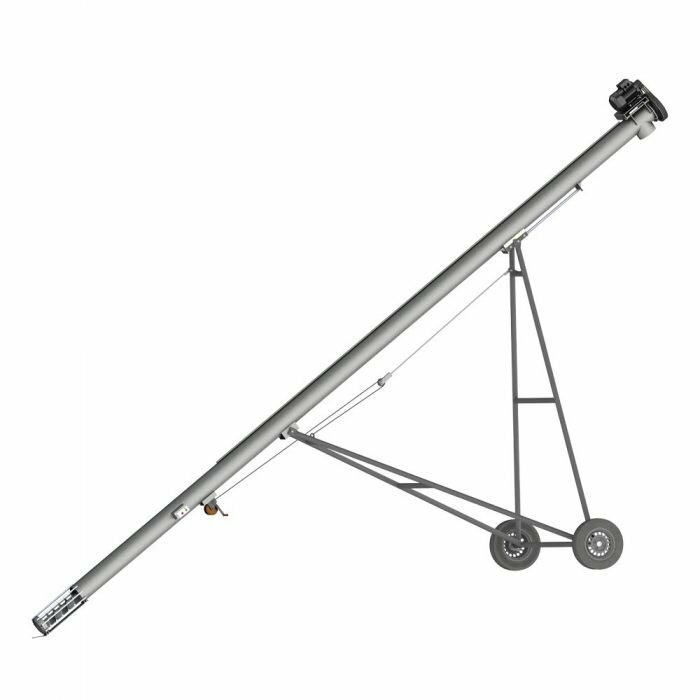 It has lightweight and sturdy construction which allows the equipment to be towed by a car. 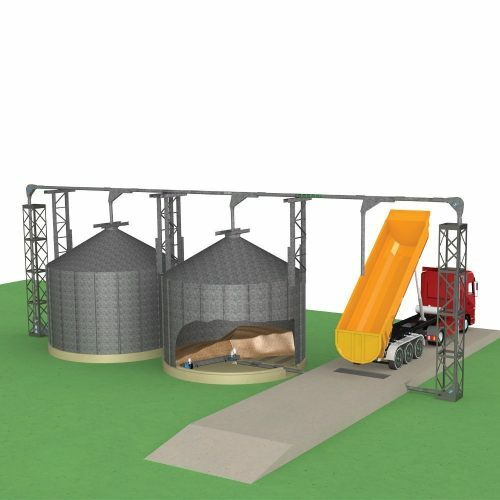 ELICA Mobile Auger is a practical solution for transporting any kind of seeds. It has lightweight and sturdy construction which allows the equipment to be towed by a car. 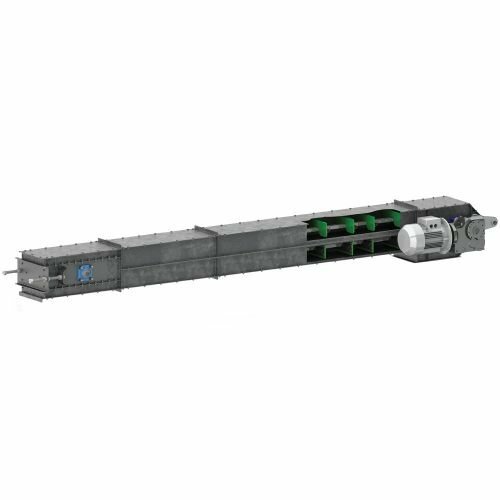 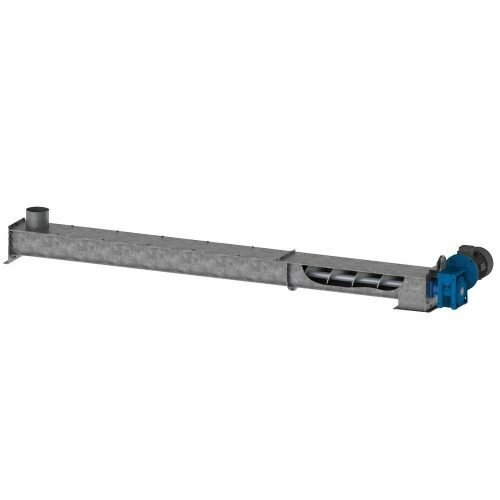 This transportable auger has adjustable, facilitating loading flat storage, truck and silo.